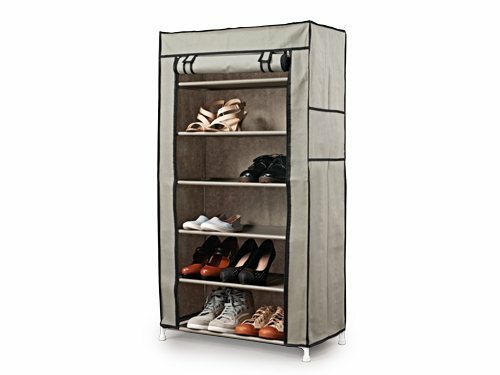 Able to store about 3 pairs of shoes in a single rack. Keeps shoes clean away from dust and water. 14cm height in between racks. Maximum weight: Approximately 10kg for each rack. Easy to assemble and dismantle, no screws, drilling or nails required. Outer cover has 2 compartments, waterproof and machine washable. Material: Non-woven fabric, PVC and stainless steel. Size: 60(L) x 30(W) x 107(H) cm.